One of the hardest working parts on a diesel truck is the rear differential. It takes the brunt of hours of grueling stop-and-go driving, towing and racing. Help protect your differential and keep it running cool and efficiently with the ATS AAM differential cover! 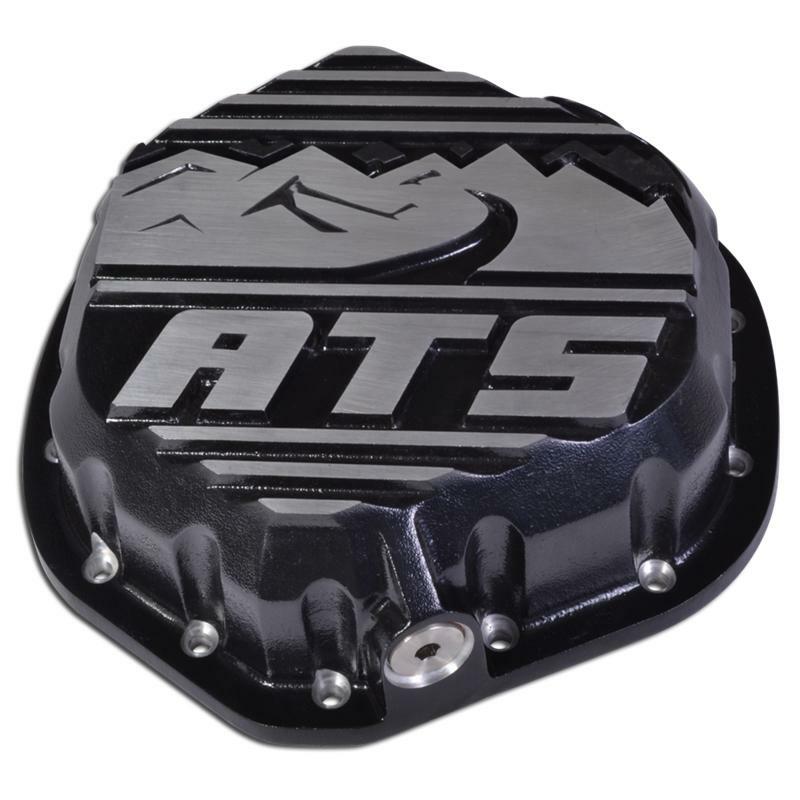 The ATS AAM Differential Cover adds 2.5 quarts of fluid capacity over stock and comes with all necessary hardware and gaskets to install. The cover has a magnetic drain plug to prevent fluid contamination, as well as a weep hole for easy service. The weep hole can also be used for installing a temperature sending unit (not included) to read differential fluid temperatures. All ATS differential covers are powder coated black with a machined ATS logo.